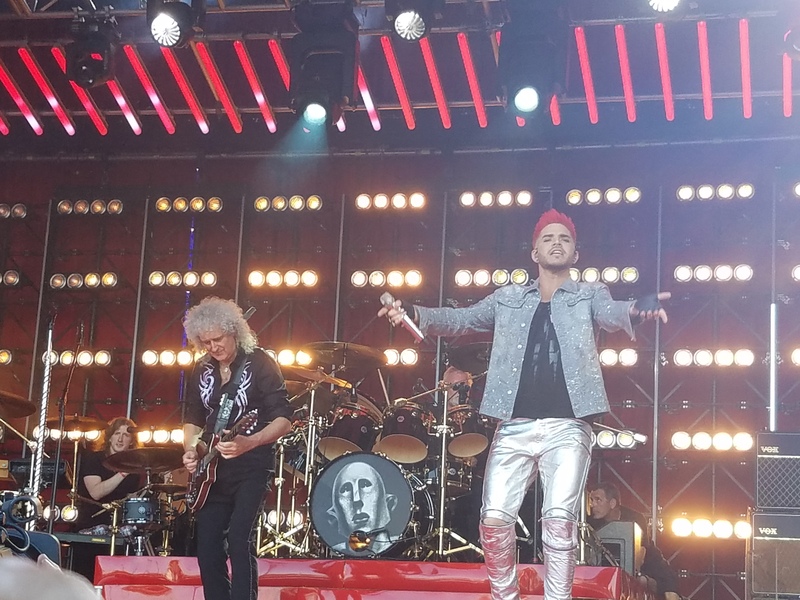 You are here: Home / Tours and Live Performances / 2017 Queenbert / Adam Lambert’s New Song – TWOFUX – What’s the Message?? 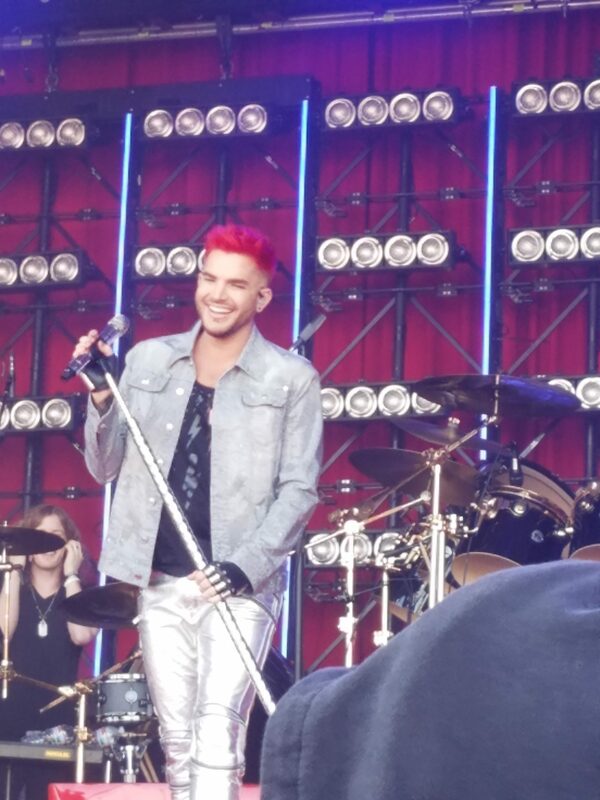 Adam Lambert debuted his new song TWOFUX at the Jimmy Kimmel Concert Series, accompanied by Queen. What back up!! Complete with newly styled bright red-orange hair with shaved sides, Adam strutted like a rooster, totally alive on stage. His command and self-confidence added to every moment up there. It seems with this song he has a lot to say. Lila and I were lucky enough to be right up front to capture this “larger than life” moment! We’ll find out tonight if this new song is included in Queen + Adam Lambert’s set list. If anyone is at the Phoenix show, please post all the details below. Lila and I are now off to Las Vegas and then Hollywood Bowl and we’ll report it all for you! Missed him on Jimmy Kimmel. Damn, damn, damn! But then of course watched and listened via FB. Love the new song………….alot. Sounds of Queen for sure. Don’t know how I feel about the hair but doesn’t really matter. I mean after all it’s ADAM. Besides, just wait & he’ll do something totally different. He NEVER ceased to amaze me and I love it………………………and him. What a fun day! Adam is such a phenomenal performer!!! The new song was included in the set list in the Phoenix concert. Different! The show was great but I really didn’t care for the hair but his voice is still out of this world.